simple, natural, colourful toys for little hands. spools and stars~ perfect for toddler hands! I am working on using up my copious craft supplies, in a bid to make the studio space a little simpler and much more functional. If you find yourself being swamped by supplies, check out our current MAKE IT DO (September) crafter's challenge! 1) Follow our Facebook page (http://facebook.com/beneaththerowantree) and comment on the giveaway post that is pinned to the top. 2) Follow our Instagram feed (@beneaththerowantree) and comment on the Facebook post again with your IG username. 3) Follow our Pinterest (@btrt) and comment on the Facebook post again with your Pinterest username. 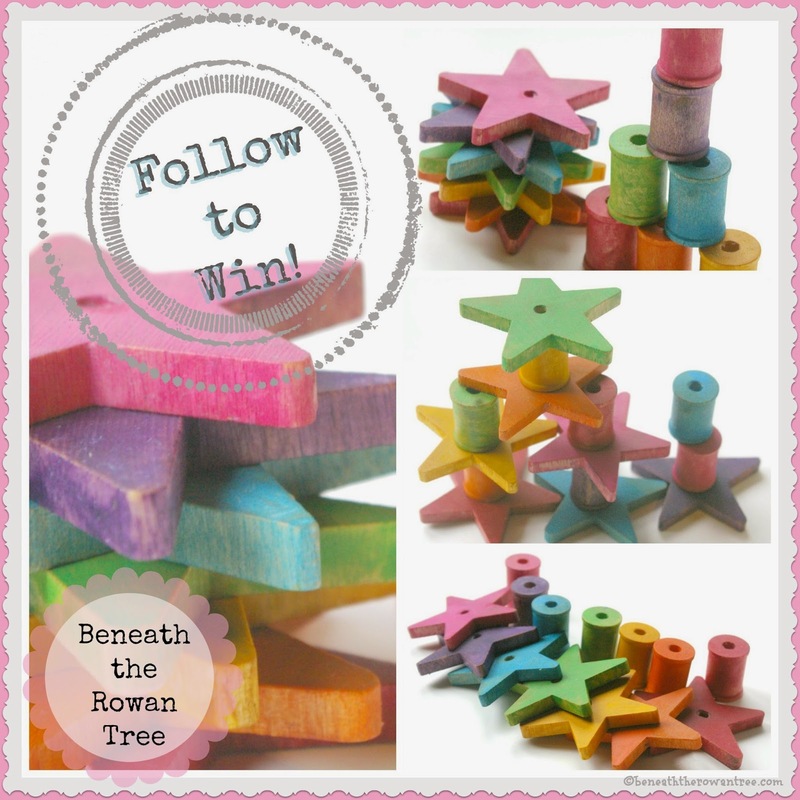 4) Follow our blog (http://beneaththerowantree.com/) and comment on the Facebook post again with your username with which you followed the blog. The winner will be drawn from the qualifying comments (ie. verifiable followers) on the Facebook post only. Contest closes at midnight EST on Thursday, September 25th.